We tend to think of our world as a constant, the globe a set standard of borders. But even within your lifetime, brand-new countries have been created. In fact, there have been 28 new countries added to the world’s official list since 1990. That’s 28 more countries to explore than our parents had when they were young, restless and ready to travel the globe. The last of the Balkan countries to become independent, Kosovo declared independence from Serbia only 10 years ago. But the country had decades of tension even before becoming official, due to deep ethnic divides that remain today. After Yugoslavia collapsed (and the Balkans erupted in a brutal war), Montenegro and Serbia became a two-state country, but eventually separated in 2006. Technically, Montenegro left first, leaving Serbia to declare its own independence just days after. 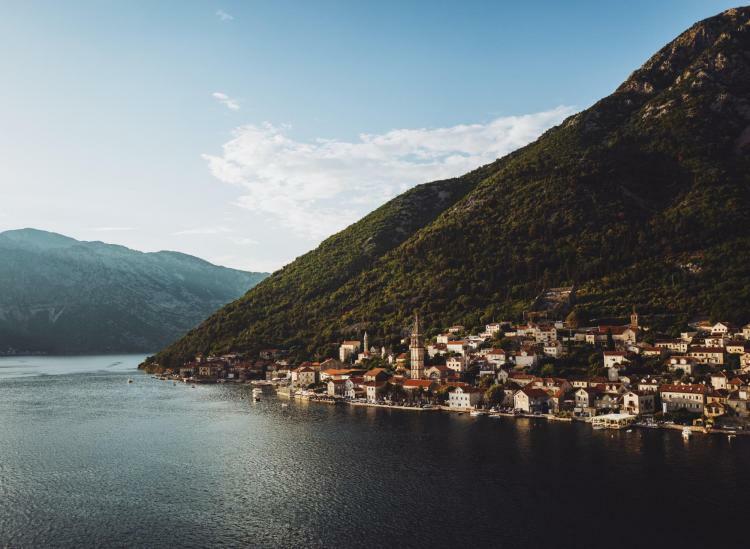 We love Kotor, Montenegro and Belgrade, Serbia for travelers looking for a budget trip that gets a whole lotta bang for your buck. Kotor is one of the prettiest places in the world. Also called East Timor, the country became independent from Indonesia in 2002. Turmoil within the country meant continuing violence even after independence, but now, the country is much more peaceful. Timor-Leste is beginning to show up on travelers’ radars for the untouched beaches and stunning coral reefs off the coast of the island. Palau is an island chain of 250 islands with only a population of around 21,000 people. But they are their own nation. The islands were colonized by various bigger nations over the years. However, instead of becoming part of the nearby Micronesia island group, Palau became independent. The islands are popular for tourism, thanks to the pristine beaches, scuba opportunities and sailing endeavors. After a 30-year civil war between Eritrea and Ethiopia, Eritrea became its own country. Sadly, the conflicts have continued even after the new borders were drawn. There are still disputed areas along the borders and travel here isn’t recommended by the State Department. After the Velvet Revolution (ending in the one-party communist system), Czechoslovakia dissolved into the Czech Republic and Slovakia. They called the split the Velvet Divorce. Compared to many similar splits in the nearby Balkans, this one was simple and peaceful. Everyone loves Prague in Czech, but Slovakia’s Bratislava is growing in popularity with travelers for less crowded city days. Officially, Bosnia and Herzegovina declared independence from Yugoslavia in 1992, beginning a violent ethnic and geopolitical war that lasted until 1995 that killed thousands of people (including ethnically motivated genocide) and destroyed entire cities (Sarajevo was under siege for years). We love Sarajevo and the surrounding mountains for both city adventures and trekking, as well as historic Mostar further south. Slovenia and Croatia withdrew from Yugoslavia with very different results within a few months of each other. Slovenia was first, with only 10 days of conflict. However, the war in Croatia lasted until 1995, with sieges of Dubrovnik, Zagreb and Vukovar. We don’t need to tell you about Croatia — it’s beloved to travelers these days. But it’s northern neighbor Slovenia doesn’t get nearly enough love for its mountains, charming lake towns and quaint capital city of Ljubljana. Formally known as the “Former Yugoslav Republic of Macedonia” due to complex historical debates between Macedonia and Greece, the country seceded from Yugoslavia in 1991. It was a more peaceful transition than the other former Yugoslav nations. Macedonia now has many of the same charms as neighbor Greece, with seaside towns and sweeping views. These days, many of these formerly Soviet countries have thriving tourism sectors with travelers eager to go explore the architecture of places like Tbilisi, Georgia and the wilderness in Kazakhstan. Namibia was colonized by Germans and then absorbed into South Africa, but it wasn’t until 1990 that the country became its own entity. After years of conflict with South Africa and nearly 20 years of international diplomacy, Namibia’s transition to independence was peaceful. Now, Namibia is famous for gorgeous sand dunes, a large cheetah population and other stunning wilderness adventures.